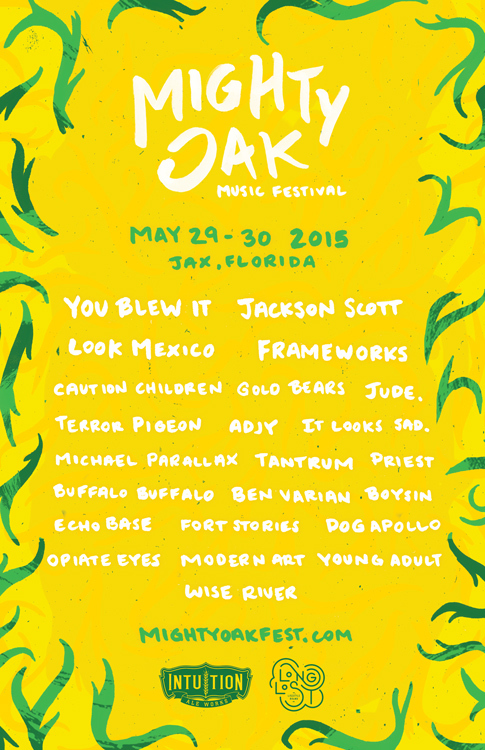 An all ages DIY music festival in Jacksonville, Fl. Come celebrate punk, indie and electronic music from across the southeast over two days. Mighty Oak 2015 will take place on Friday May 29th and Saturday May 30th at Underbelly and Burro Bar in downtown Jacksonville.